Android has overwhelmed the cell phone market, but the revolution doesn’t stop here. The linux-based operating system is proliferating into other aspects of technology; TV boxes are just another example that became a huge hit, not only in households but in the economic arena as well. The drastic fame of Android TV boxes owes much to the fact that they are smart in size and versatile in functionality. They are comparatively a cheaper solution to other TV devices. Furthermore, they come with a simpler interface and remote control operations, which might not be new to you, because you are already familiar with the platform through your smart Android phone. The device can easily crawl into a small space, and can be fixed on the walls and placed almost anywhere you feel comfortable. Their lightweight console offers little to no resistance during carriage or placement. An Android TV box comes with a wide range of Android apps, including web browsers that turn your TV into a computer. It is possible that you might like it better than your touchscreen mobile, because you get to experience the awesomeness of Android world on a larger screen, while the operation is also remote, so you can just recline on your sofa and watch TV or switch to games and web surfing. There are more computer accessories and attachments in the market, but nothing is comparable to this. As to reliability, you can surf the internet for customers’ reviews, and you will find that complains are little to none. Mostly, the fault did not emerge from the device itself, but due to user’s inability to keep the pace with the advance TV system. Its circuitry is forged from heat resistant materials that last longer, and house approximately the same hardware specifications like 1 GB RAM, 4-8 GB ROM, Mali 400 GPUs or ARM GPU coupled with Cortex cores. You can enjoy high quality videos, movies and listen to the music, but remember, they are just basic features. 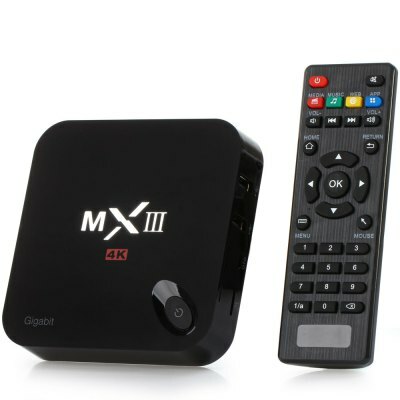 An Android TV box also incorporates advanced functions found in your Android compatible phones. It literally turns your television into a multifunctional entertainment suit with internet connectivity as well; there is much more to it than you know. Portability is one of the biggest benefits of an Android TV box; this means you can take advantage of your subscriptions (Netflix etc) on the go. As told before, the revolution cannot be stopped, as Android TV boxes have also further converged into Android mini TV boxes, which are available on various web stores like Amazon and eBay, or you can get them cheap from Gearbest.com.